As a society we become more technology driven everyday. We use smart phones to purchase tickets and make reservations, to check the weather, and check in on social media. We email and message each other with ease, and love the timeliness and instant gratification it provides. We save our pictures and music on clouds, and we can use our phones to control the temperature of our homes. We pay many of our bills online, and request invoicing from the vendors we use in our personal lives be sent in a paperless manner. Timely Pay: Providing your clients with an invoice online allows them to simply click and pay as soon as they receive it. Rather than needing to wait for the paper bill to arrive in the mail, write a check, and mail it back to you, they can easily pay with a credit card or their bank account within minutes. This saves you time and the cost of mailing bills and reminders. Accept Online Payments: Invoicing online allows you to set up a direct link to have your client pay directly to your paypal or bank account. This provides better cash flow for your business giving you more opportunity to grow. Automation: Subscriptions and other scheduled services can easily be automatically issued to your clients on a regular basis. This saves you the time of creating individual invoices on a weekly, monthly, or yearly basis. Your cloud based accounting system can be set to alert you and remind you that you need to invoice your clients. Online Backup: Should you lose the paper copy of an invoice, you are forced to have to type it up again. With cloud based accounting, the invoice is automatically backed up online, along with customer information and any other backup you keep with your invoices. Make an Impression: The way your invoices look reflect on the identity of your business. By providing modern invoices that effortlessly arrive in the inbox of your client, it shows that your business is up to date and organized. The templates provided save you time and help your brand to be the best it can be. Reporting: With your cloud based accounting, the invoices you create go into detailed reporting of the performance of your company. You can easily view reports based on cash flow, clients, and types of transactions. Reduce Errors: When creating invoices, your cloud based accounting will automatically reduce typos and eliminate errors for you. You can spend your time focusing on providing your client with top-rate performance and not have to worry as much about your account receivable. Accessibility: With cloud based accounting, you can access your business from anywhere. Whether you are at home, the office, or out-of-town, you can easily view an invoice and be in contact with your clients with up-to-date information on their account with ease. Your user account is not longer stuck on one computer in one place. Contact us to get started with making a lasting impression with your clients. Not only will online invoicing set you apart as a business that is tech-savvy and moving toward great things, but it will also provide you with freedom and flexibility. Use your cloud based accounting system to provide faster and higher quality service to the clients you work with, and to make your business run more smoothly and efficiently. You will be amazed at the time and energy it saves. Many job seekers are thrust into the world of freelancing by default, typically after they have been laid off from a 9-to-5 job and they are not able to find other regular employment positions. 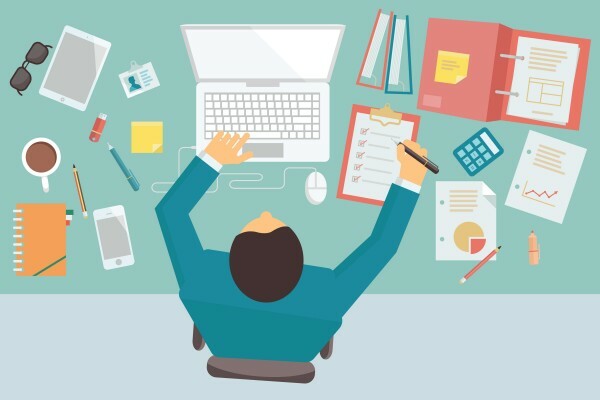 When managed properly, freelancing can be more rewarding, fulfilling, and lucrative than a routine job. The key to success as a freelancer is to learn how to monetize your time. When you have a regular job, your employer basically pays for your physical presence. The employer assigns certain tasks to you and you complete those tasks within some deadline and usually without tracking how long those tasks require for fulfillment. As a freelancer, you will still have deadlines and tasks, but your stock in trade is your time, rather than your physical presence. You will typically provide your services for clients according to the terms of a “time and materials” or a “fee for service” contract, or some hybrid of both. Tracking your time under any form of contract is critical. Under this form of contract, you will invoice your client for each hour that you devote to working on his projects, and you will add a line item to your invoice for approved expenses for materials that you used to complete the project. Many clients will ask for an estimate of how much time you expect to spend on each project. If you provide an estimate that is too low and you later invoice your client for an amount that is substantially higher than your estimate, the client will often balk at paying the full amount of your invoice. You can avoid this situation both by providing realistic estimates of how much time you will need to complete a project, and by tracking and monitoring your time while you are working on the project. The trick is to track your time continuously while you are working on the project, rather than waiting until the end of the project and adding up all of your time only to be surprised by how much time the project actually required. Flat fee for service contracts can be either very lucrative or tragically unprofitable. When you agree to complete a project for a flat fee, you are committing to that fee regardless of how much time the project requires. 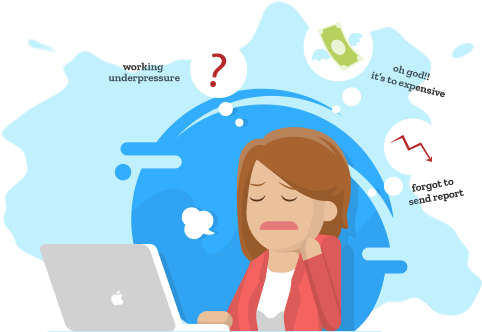 You might not think that you should monitor your time when you are providing services on a flat fee basis, but success as a freelancer requires you to track your time even more carefully when you are working for a flat fee. You might underestimate the amount of time that will be required to complete your first few projects, and write off the extra time as a learning experience. As you acquire more clients who ask for flat fee work, that experience will enable you to provide more accurate quotes. You will no chance of providing an accurate quote, however, if you do not have correct information regarding how much time you spent on similar projects. Some of your clients will agree to a time and materials, but they will place a hard cap on the total amount of time you are allowed to invoice. Others might want a flat fee contract with a rider that gives you a bonus if you deliver the product of your services at a lower-than-budgeted rate or well in advance of a due date. In all cases, you need solid information about how much time you have spent on previous similar projects and on the time you devote to each client’s ongoing projects. The old adage that “time is money” is the controlling principle in freelancing situations. CloudBooks has simple apps and tools that will allow you to track and record your time for all of your client projects in real time, as you are working on those projects. Please contact us for more information on how we can help you establish a system to track and monetize your time for a successful freelancing career. When you first opened your business, you probably based it on some kind of business plan. In that document, you considered your target market and what kind of product or service your company would provide. You also did some calculations to ensure that your Small Business could establish a cash flow. That’s the name of the game, and we have some thoughts to share about it. For new businesses, cash flow is one of the biggest factors that affects their ability to reach the projected break-even point. This is the point in time at which your investment of capital in the business gets recovered and you begin to make a profit. We understand that you need quality bookkeeping software to help track all of your incoming revenues and outgoing expenses. Our cloud-based bookkeeping software gives you electronic tools to do these activities and many more. On the one hand, you can keep the books and continuously monitor the financial position of your small business. On the other hand, our software helps you to easily create and send invoices electronically and through the mail to your clients. To stay in business, you must establish and maintain a market base and build relationships with clients. Just getting clients to make a purchase is the beginning. Once your product or service gets delivered to clients, you must ensure that your company gets paid. We like to help small business owners and freelancers understand the importance of having reliable bookkeeping software. This is a tool that helps you ensure cash flow and efficiently manage the billing relationships with your clients. With bookkeeping software, it’s easy to perform some cash flow analysis. You want to examine trends, such as the rate at which your clients remit payment to you. In a typical business, this includes looking at clients that get behind in payments, such as 30 days past due, 60 days past due, and 90 days past due. Accounts that become more past due are unlikely to pay your business any time soon. They won’t help you make your rent and expenses this month. In the end, your company cannot stay profitable by allowing clients to become past due. Any business that bills clients must also address the hassles of debt collection. 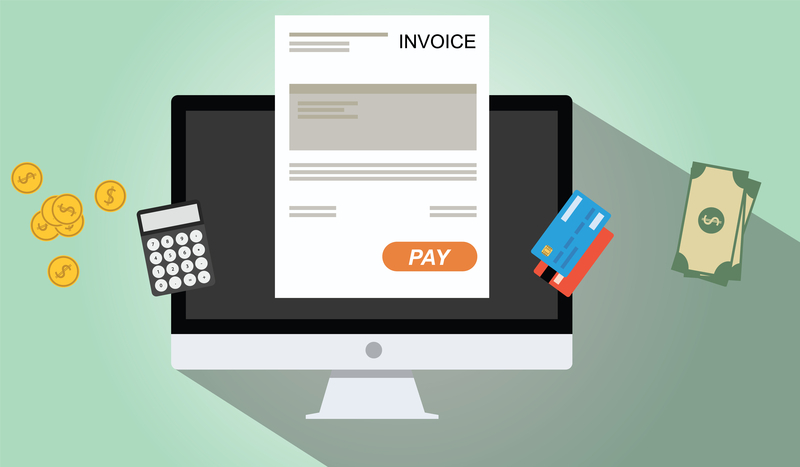 Any invoice that you send out should be matched in the future with a payment or a collection action. Some businesses will write off bad debts on their taxes at the end of the year, but that is a conversation for another day with your tax specialist. Our clients appreciate how easy it is to tackle monthly collection efforts by pulling different reports from our cloud-based software. You can use different collection efforts, such as writing letters and making reminder phone calls, to encourage clients to pay. In the end, if they don’t pay, you can report them to the credit bureaus and decide whether to take them to small claims court. With our bookkeeping software, you can easily track the age of accounts. You can focus your marketing efforts and customer service activities on clients who pay on time. You can decide whether to cut ties with clients who constantly get behind in paying you for goods or services. We want your business to establish a steady cash flow and then track and manage incoming payments easily over time. With cloud-based bookkeeping software, you get to use all of your electronic tools on a single dashboard. You can easily analyze the sources of income and the ages of outstanding client accounts. For more ideas on cash flow management, we hope that you will contact us today. Cash flow is the lifeblood of any business. Your business can generate millions in sales and profits, but if you are not getting paid on time, your business is going to suffer. A business has to pay the employees, suppliers for inventory and also have to pay for other expenses- all requires constant stream of cash flows to the businesses. Despite this, many businesses are not paid on time even against the completed and delivered work. Your invoice must contain the details of what is being delivered to your customer. It must contain the details of what you delivered and under what agreement between you and your customer. If your clients are established and old, it may be OK to mention some legal language in the invoice. However, if your client is a young millennial, she may feel threatening or offensive when reading references to legal agreements in your invoice. While establishing rapport, adapt the language of your customers and do not be rigid. The Payment behavior of customers change over time. Customers can easily miss deadlines either intentionally or by chance. Reasons could be any but it is your job to remind your customers of deadlines. Follow up with the client on due date however, be flexible. Once your customer is sure that you are following up on payments, it is time to manage the excuses. Your invoice can be used to manage excuses even before they are raised by the customers. Often customers attempt renegotiate the price and raise objections over issues such as disagreement with the contents of the invoice or even the work delivered by you. It is a common assumption that if customer does not raise any issues once the work is delivered, businesses consider it completed work. Contrary to this, customers often raise serious observations while paying the invoice. 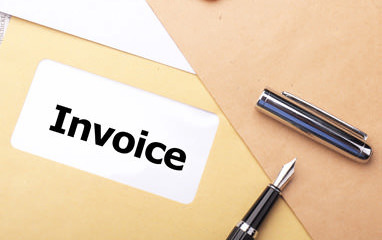 If invoice amount is large, you are sure to face disagreements and last ditch efforts to renegotiate the price. You should write, on the back of your invoice, that in case of any dispute, customer can contact you within certain days. Explicitly mention it on your invoice and be open to discussion and offer discounts if you can. It is always better to keep the customer for future business instead of losing your customer for further 5% discount. 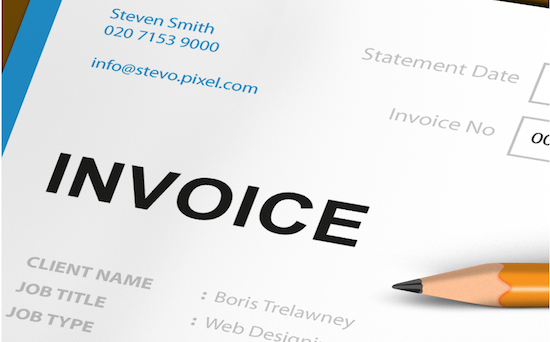 Using the language of your customer in your invoice can significantly increase your payment rates. You can create a connection with your customers by using right language so follow above steps and you may be surprised to know how quickly you are paid. Do you want your business to make more money in 2016? Of course you do! Well now is the time to make that a reality. 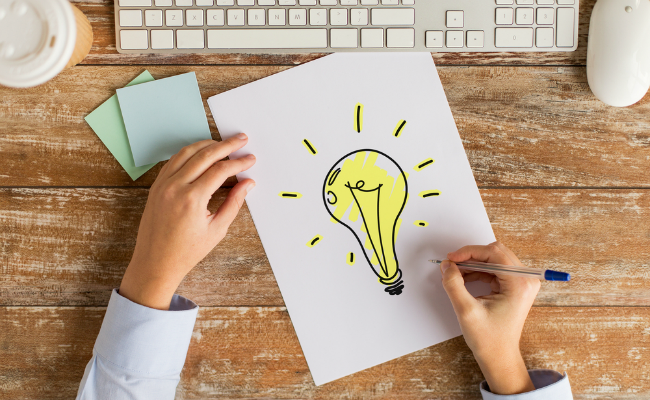 We’ve put together 11 simple ideas that can make your business more profitable this year. As a small business or freelancer, invoicing your clients is a necessary day-to-day task that likely takes up a good deal of your time. Additionally, the way that you invoice your clients speaks volumes about your level of professionalism. It should be the goal of every small business to provide a simple and seamless way to invoice their clients while maintaining professionalism. Accuracy is also a very important requirement when invoicing clients. Here are a few tips that can help your small business be more professional when invoicing clients and help you to simplify the process as a whole. Every invoice that you send out should include clear payment expectations and any other polices that you are implementing. Once the work has been delivered, it is important to remember that it is your right to be paid by the organization that you are working with. As a freelancer or small business, you shouldn’t be uncompromising, but you should be consistent with the policies and expectations from the first interaction with your potential client. Make sure that both parties have an understanding of when a payment will be due, how work will be delivered, and what form the payment should come in. Not all clients want to pay you using the same method. Accepting multiple different payment methods will speed up payments to your business and allow you to ensure that you are providing an excellent experience to your users. Online invoicing systems typically will allow you to accept major credit cards, or opt for check payments as well. Make sure that you discuss payment methods with a client well ahead of the completion of work and before issuing invoices to avoid issues. Although it might seem like a great idea to give your clients a break on your services to attract their future business, it often sets a bad precedent and can lead to confusing invoices in the future. If you didn’t charge them for certain tasks on one invoice but did on another, that can be very confusing. Make sure that you are consistent with the way that you apply charges and if you choose to provide price breaks to clients make sure that you are upfront about it. If your client is having problem spaying the invoice, make sure that they know all of the relevant ways in which they can contact you. Include email, phone number and address on all of your invoices so that you can be easily reached when they run into issues. As a small business, you probably send out a huge number of invoices each month. When you run into a problem from one client, you need to be able to quickly identify the invoice and rectify the issue. Although in the past many numbered their invoices by hand, online systems will handle the numbering of your invoice for you, which greatly simplifies the process in the long-term. Like any other type of data, invoices can also fall victim to data loss and are a very important aspect of your business. Although all data should be backed up, it is especially true for invoices and other financial data. Make sure that you are appropriately backing up all invoices that you create so that should data disasters occur, you can still collect the money that you are owed by clients. If you would like to learn about how the CloudBooks (Invoice Software for Mac and Windows) can help you to professionally invoice your clients, please contact us today to schedule your initial, risk-free consultation with our small business accounting experts.